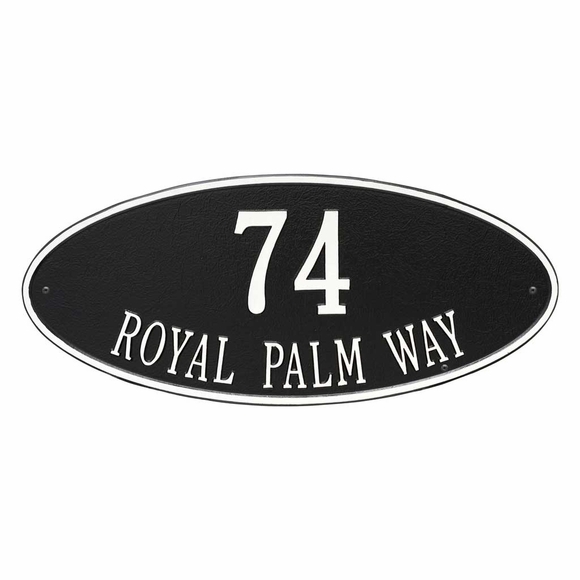 Large Wall Plaque For 2 Line Address - - 24" wide personalized address plaque personalized includes the address number and street name you supply. Oval shape. Made in USA. Line 1 holds up to five (5) 4.5" numbers. Line 2 holds up to seventeen (17) 2" characters. Border accentuates the arch shape and matches character color. Dimensions: 24.5"W x 10.375"H x 0.375. Two Line Personalized Address Sign with your address number and street name. Made in USA. 5-year warranty.